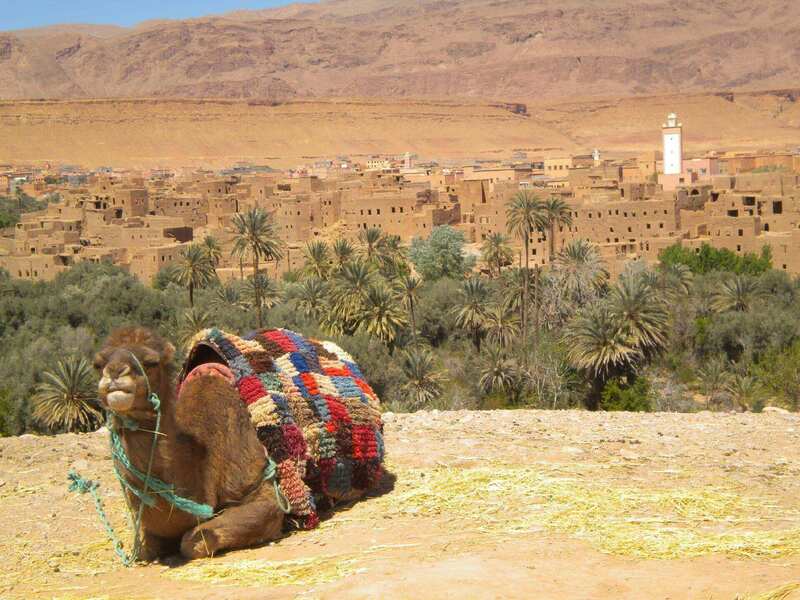 Sensational Morocco… the exotic African gateway on Europe’s doorstep! Beguiling. Mesmerizing. And dizzying in its diversity… from the sand seas of the Sahara to the epic snow-capped Atlas and Rif Mountains and the golden beaches of the Mediterranean Sea and Atlantic Ocean. Add in the vibrant medina maze of Fez, the carnivalesque magic of Marrakesh, the cosmopolitan glitz of Casablanca, and the oasis town of Ouarzazate - Hollywood’s destination of choice when it comes to filming desert epics. It’s a recipe for a fantastic motorcycle adventure, made more enriching by the warm and hospitable Arab and Berber cultures. We meet in the Andalusian port city of Algeciras, with a welcome and briefing about the tour at our hotel, plus a presentation and dinner. After breakfast, we embark the ferry and cross the Straits of Gibraltar—an exhilarating journey of anticipation that delivers us to Tangiers, a gleaming white city of intrigue and the gateway to our adventure. After clearing Customs, we’ll ride into the foothills of the Rif Mountains. 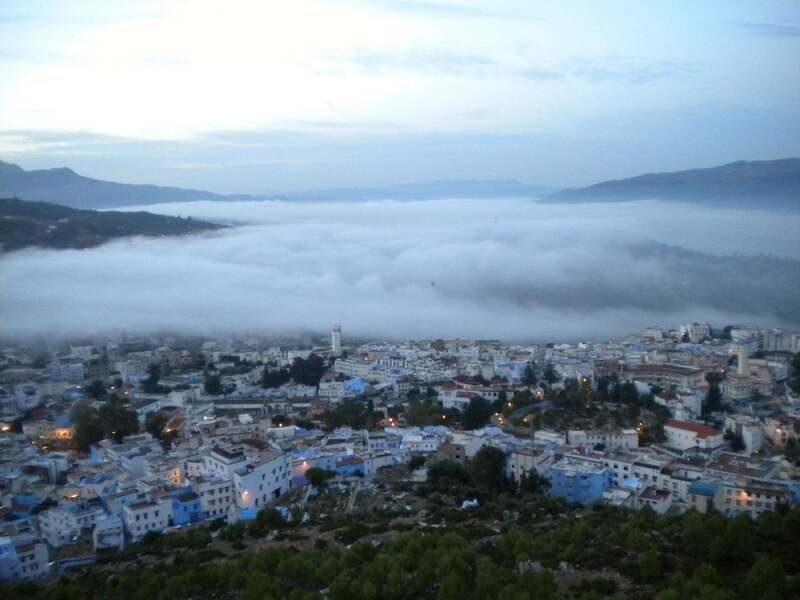 Our destination is Chefchaouen, perhaps Morocco’s prettiest village, with its medina of narrow winding cobbled alleys painted in blazing blues. Our morning ride through the Rif Mountains is sure to make you grin with glee as we snake through gorgeous alpine landscapes of rugged gorges and rolling meadows. Our destination, Fez (Morocco’s ancient capital), is the oldest and most impressive of Morocco’s four Imperial Cities. The cultural heart of the nation, its ancient medina - a UNESCO World Heritage Site - is a maze of myriad medieval streets, and the world’s largest car-free pedestrian area. 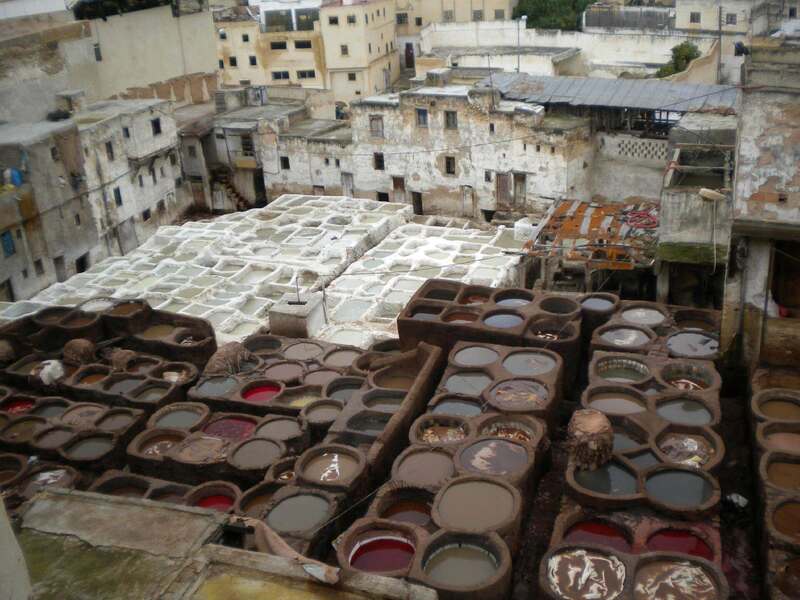 This afternoon we’ll enjoy a guided tour of the town, including the unforgettable Chaouwara tanneries, with its dye vats dancing with color. 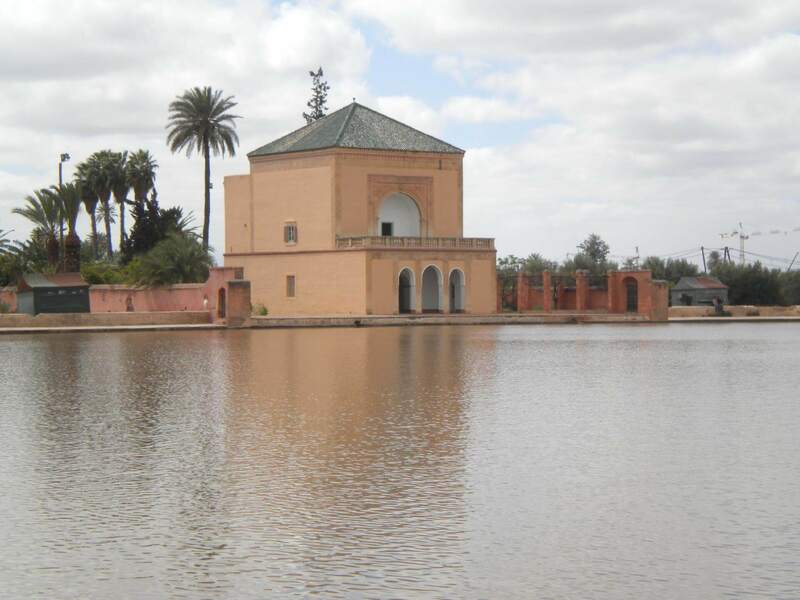 We head southwest today via Meknès, a relaxed Imperial City and one-time residence of the Moroccan Sultan. Then, continue through oak and cedar forests of the low-lying Middle Atlas Mountains, with its many mud-thatched Berber villages. We end in Beni-Mellal, with time to perhaps explore the market teeming with oranges, figs, olives, spices, and textiles, including Moroccan rugs. A highlight this morning will be the Ouzoud waterfalls, a group of stunning cascades resembling a fantastical set from an Indiana Jones movie. With luck, we’ll also see plenty of Barbary apes! 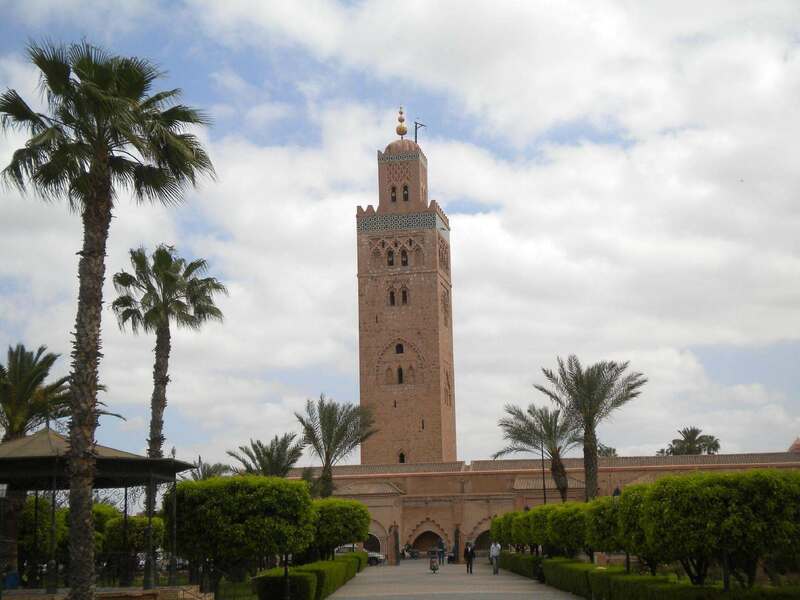 Our route passes through olive groves and mountain farmland before dropping to the plains and the riotous, quintessentially Islamic, and utterly memorable city of Marrakech. No tour of Morocco would be complete without a day in Marrakech. In the morning we’ll take a guided city tour. The rest of the day is free to explore Djemaa El Fna, the city’s main square, with its snake charmers and theatrical bustle; and the medina souqs - a veritable Aladdin’s Cave of treasures, from twinkling silver lamps to Moroccan (but probably not magic) rugs. Today thrill to spectacular riding as we ascend into the High Atlas Mountains via Tizi n'Tichka, the highest road passage in North Africa (2,260 meters), connecting Marrakesh with the desert oases of the Sahara. We’ll descend through the Ounilla Valley - full of date palm and walnut groves - to the mud-brick kasbah of Ait Ben Haddou…a time-warp village featured in movies from Lawrence of Arabia to Gladiator, and even Game of Thrones. Nearby Ouarzazate, our final destination, is no less sensational. This is the desert oasis Morocco seen in a thousand blockbuster movies, so much so that it’s been nicknamed “Ouarllywood.”. 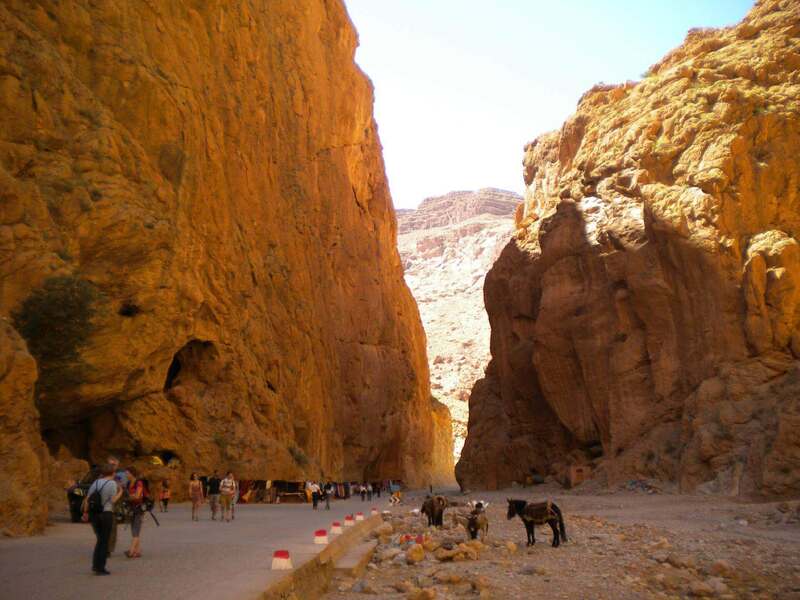 Today ride east into the heart of the Sahara Desert via the spectacular gorges of Dades and Toudra, cleaved deep in the High Atlas Mountains. We’ll pass through lush palm groves and postcard-perfect Berber villages enclosed by soaring pink and purple cliffs. The riding is beyond awesome - a sublime day of mountain twisties as we descend south into the Sahara. 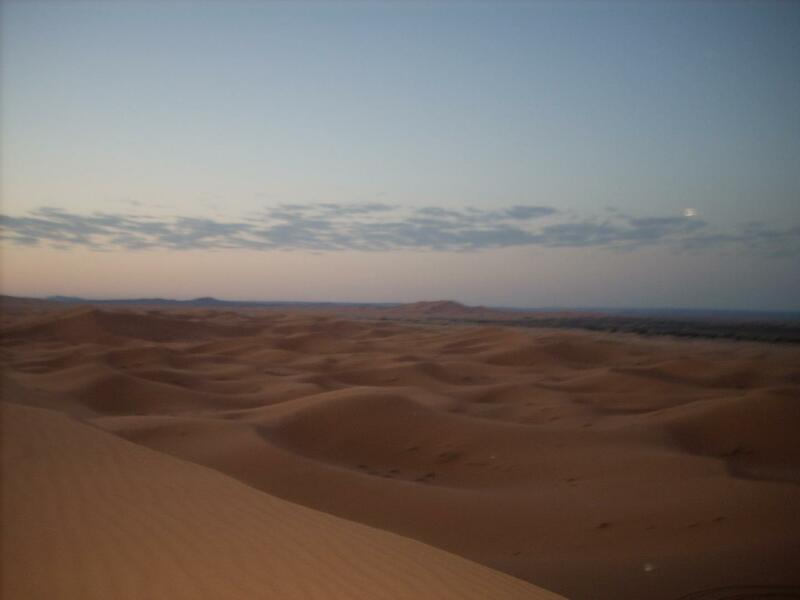 Our destination is Merzouga, and sunset atthedraa (massive dunes) of Erg Chebbi, rising 150 meters above a flat black-rock hammada and a lake stippled pink with flamingoes. This morning you’ll have a chance to climb a draa for sunrise, arriving by 4WD, camel, or quad. Then we set off into the refreshingly cool Middle Atlas, crossing the Ziz Valley to reach Ifrane, a modern and orderly ski resort surrounded by aromatic pine forest. 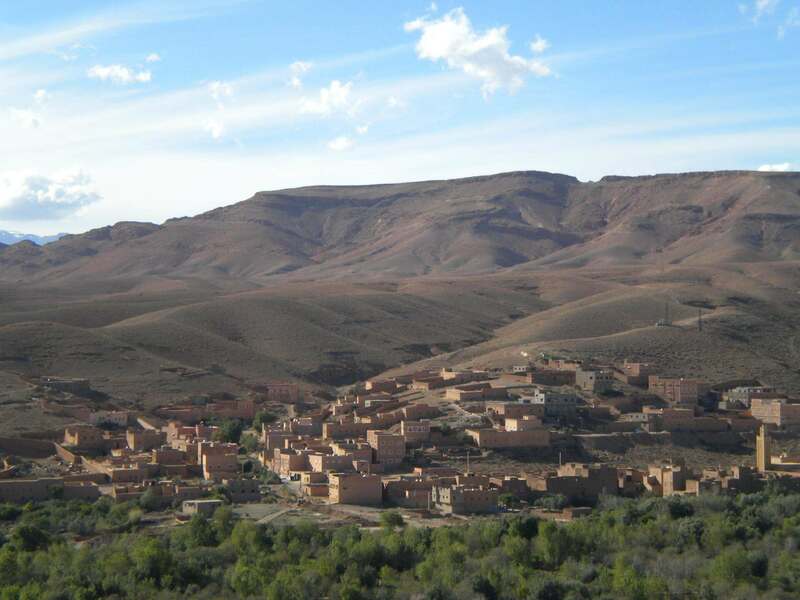 On our final full day of riding, we’ll pass through the Imperial City of Meknès and descend from the mountains. Time permitting, we’ll visit the Roman ruins of Volubilis, the best-preserved archaeological site in Morocco. Arriving Tangiers, we’ll board the ferry for our journey back to Algeciras.